If you have not received plans for New Years Eve, it is possible your friends do not have plans either. Some bars and night clubs charge $50.00 or $65.00 per person for VIP package that includes food, some drinks, and a midnight toast. Why not skip the crowded bars and throw your own party. Don't worry that you didn't start planning this event early and therefore were not able to mail invitations. A lot of people procrastinate making New Year's Eve plans, waiting for an invitation to a party, so don't worry that you didn't send out the invitations. If you waited to the last minute, you can send out electronic invitations or if worse comes to worst, you can always call or text your invitation. You do not want to start your party too early; start your party at 9:00. If you start your party earlier, you have to worry about keeping people entertained for several hours. When you start your party later, your guests will not expect dinner, so you only have to provide hors d’oeuvres and cocktails. One suggestion you can take to limit your expense is to ask your guests to provide the champagne. Place the champagne on ice, but you will want to provide mixers to add to the champagne. Presentation is key to make inexpensive ingredients look luxurious. You can place your hors d'oeuvres in symmetrical rows on simple plates, to make them look catered. Another suggestion is to make sure your appetizers are bite size. If you do want to provide more substantial, consider an after midnight breakfast buffet. This will have your guests leave surprised and with food on their stomachs. You don't want your New Year's Eve Event to feel like your typical Saturday evening party, so consider inviting a mixed crowd, so your guests can mingle with new people. However, when it comes to a New Year's Eve Event, people will be content with noise-makers, horns, and hats. Place them in a bowl, so your guests can choose what they want. To make your party memorable, you don't want people just standing around talking; you want people up and dancing. One suggestion is to have your guests list their three favorite dance tunes, create a playlist, and play it on shuffle. You will want to place digital clocks around your party space, so your guests can keep track of the approaching new year. 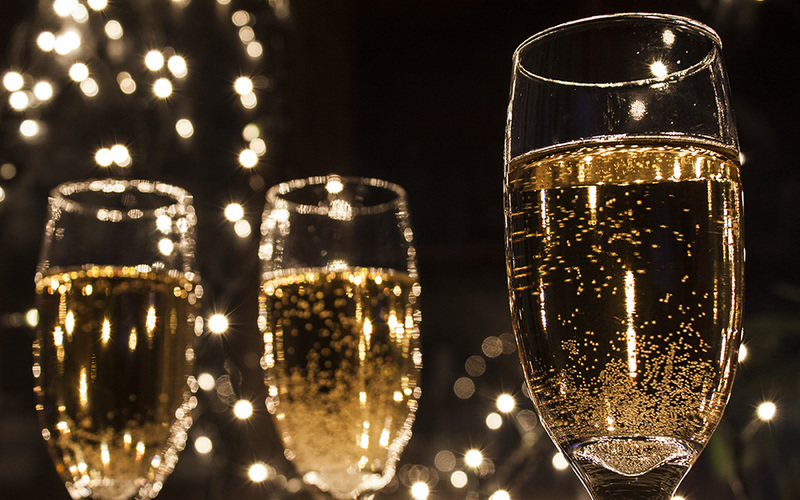 As midnight approaches, make sure your guests' champagne glasses have been refilled. For a change, consider finding the countdown to midnight on your favorite radio station, and not on your television. This way, your guests will just have the countdown in the background and not be focused on a television screen. As your party comes to an end and your guests are leaving, you can provide a care package, of ibuprofen, vitamin C powder, and ginger tea. Your guests can use this to soothe a possible difficult morning after a successful evening.